Hosted by Dave Morriss on 2014-11-10 is flagged as Explicit and is released under a CC-BY-SA license. I'm a coffee lover. I have tried many ways of making coffee. When I was a child my parents made their coffee in a percolator on the stove top. I remember how great it smelled though it tasted awful to me at that age. I have owned a variety of filter machines over the years, and these have also been available at the places I have worked. They seemed to do a reasonable job, but nothing special. One time I owned an all-glass Cona coffee maker, which was very fancy and expensive. It was too fragile for me and eventually met its end while being washed. I don't recall it making particularly wonderful coffee, but it would also make tea, which was a novelty. I made a number of visits to Indonesia several years ago. There are a lot of pretty good coffee beans available there but the way of making a cup of coffee is not really to my taste. A good dollop of ground coffee in a large cup with boiling water added and large quantities of sugar. Straining those coffee grounds out through your teeth is not a pleasant experience. As the fashion for the Cafetiere or French Press developed I acquired a number of these. Until recently these were all glass. I found I invariably broke them either by being over zealous when pressing down the plunger or being clumsy when washing them up. 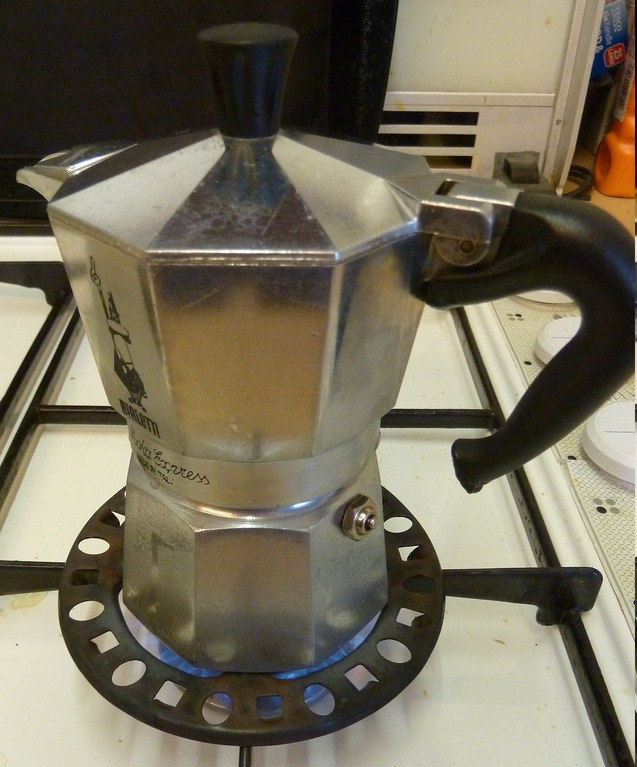 It's not a bad way of making coffee, but I have an alternative that I much prefer - the Moka Pot. 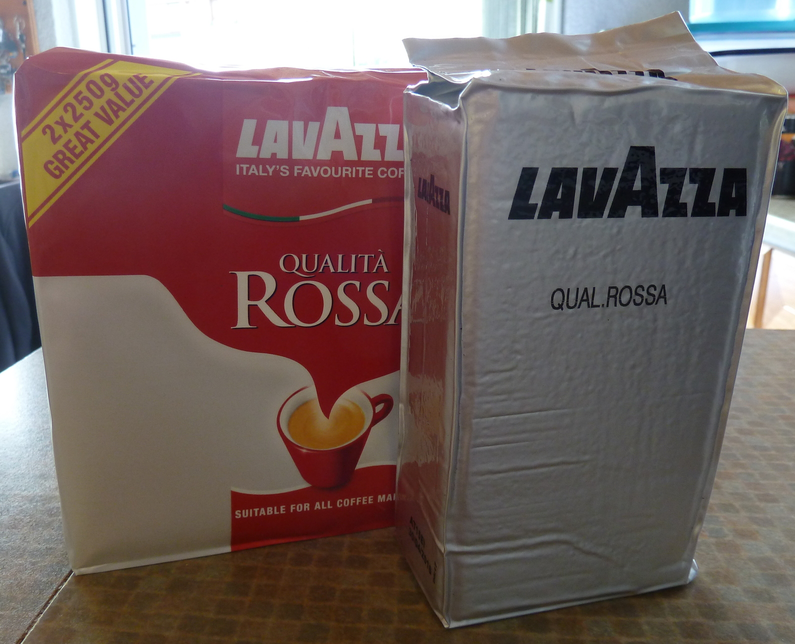 A few years ago I bought a Bialetti Moka Pot. I had never heard of these before, but my son, another avid coffee drinker, pointed me to them. I bought a three-cup pot to start with. This is a small pot; the three refers to three 50ml espresso cups. I also bought a 9-cup pot which is much bigger. 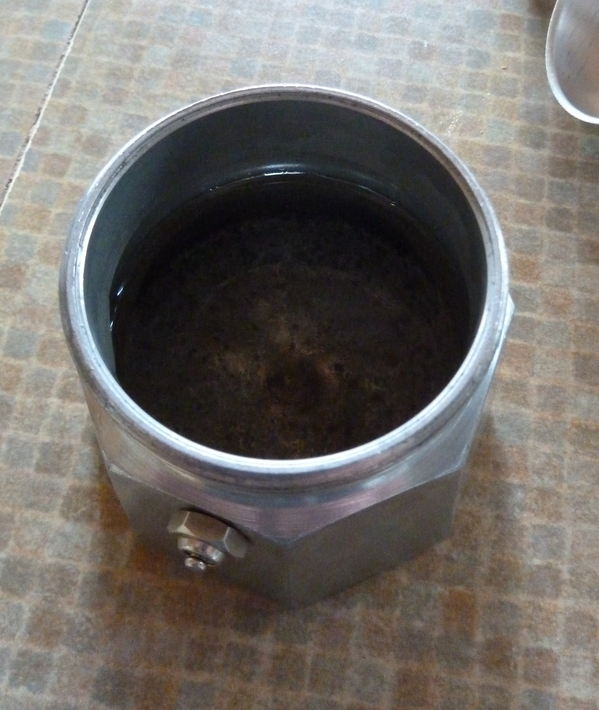 The pot consists of three main elements: a base which holds the water, a funnel which holds the ground coffee and the top which holds the coffee once made. 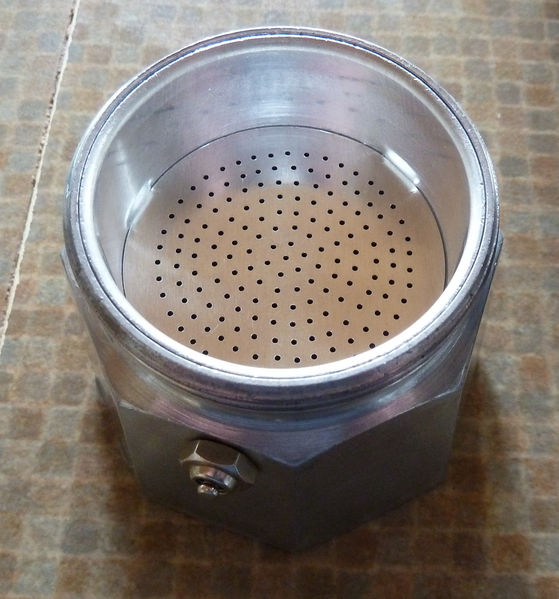 There is a gasket and a metal filter on the underside of the top part to prevent coffee grounds entering. The Bialetti is heated on a gas or electric stove and forces boiling water through ground coffee under steam pressure. It makes coffee similar to but not the same as espresso coffee. The base is filled with water just under the level of the pressure release valve. I use Italian coffee for the Bialetti since it seems to taste better than any others I have tried. 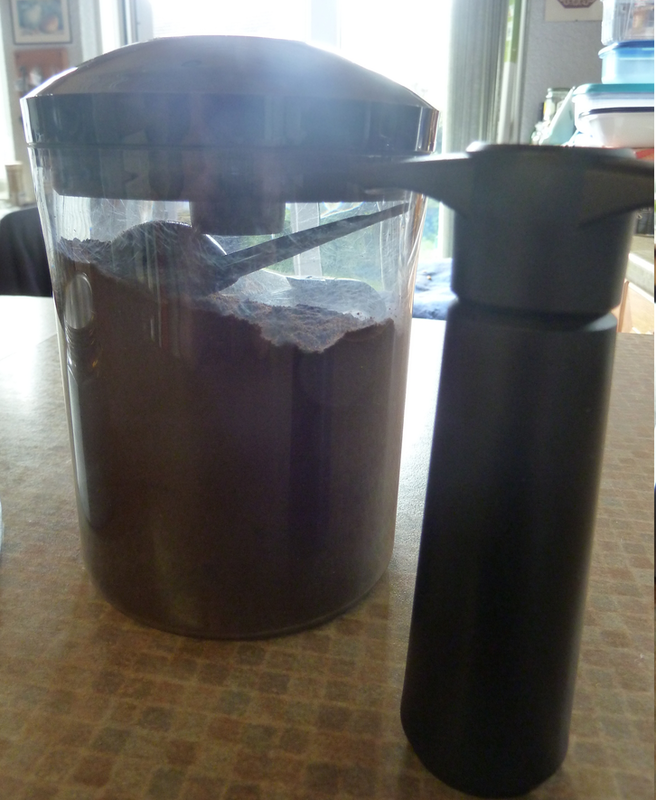 Once opened I keep my coffee in a vacuum container. The funnel is placed into the water-filled base. The pot is placed on the stove. I have a gas stove and so I use a trivet for stability. I have to take care that the gas flame is not too high or the handle will melt, as has happened in the past! You need to listen out for the bubbling sound the pot makes when the water has passed through the coffee into the top compartment. Letting the remaining steam pass through will over-heat the coffee which you do not want to happen. I make a cup of coffee consisting of one part coffee, one part cold milk and one part boiling water. This makes a large cup of pretty strong yet very smooth coffee which helps to wake me up each morning. Picture: A comforting brew - in the wrong cup! The Bialetti usually gets one use per day, after which it is washed up. Some purists say that it should only be rinsed out so that the coffee residues on the inside are not removed. I have not noticed any difference personally. Hi dave. I really enjoyed this podcast! First I'd like to comment about your French press being to difficult to press. I think either your coffee was ground too fine or you added too much coffee to the press. I own a French press and i haven't used it since i bought a moka pot this past summer. It's my favorite way to make coffee at the moment. 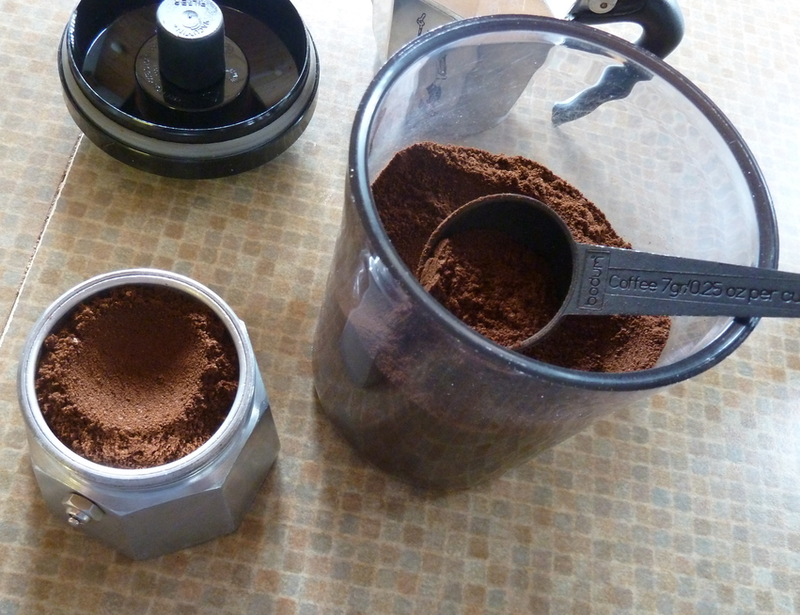 I'd like to recommend investing in a burr grinder to improve your coffee experience. The encore electric grinder by baratza is an entry level burr grinder. It retails for $150 USD. Hand grinders work well too. Hario & porlex make some that sell for around $30. Also, try buying local freshly roasted coffee! 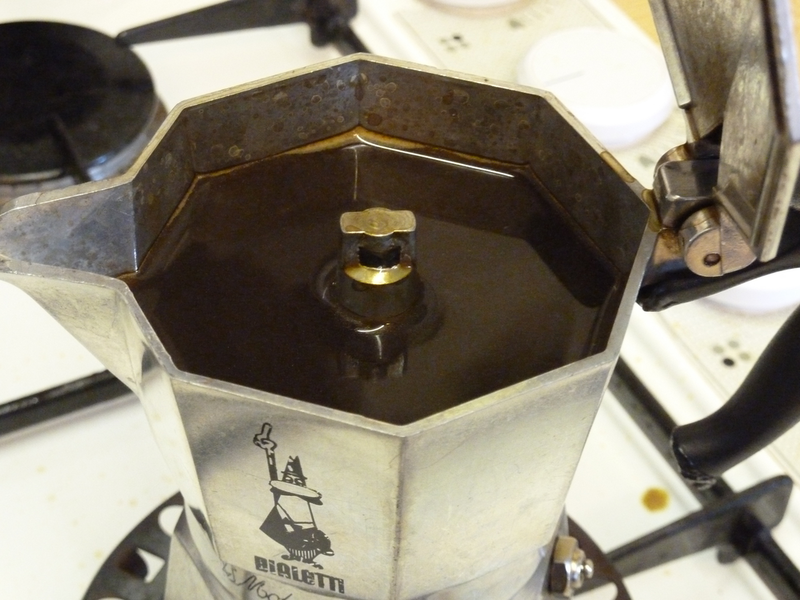 I recently aquired a Bialetti Moka Pot (a six cup model) it really is superb. I have to agree that it makes the best coffee I've made. victor: Glad you liked the episode. I suspect the French press I mentioned was poorly made, since others I've owned since then have not been as stiff to operate. 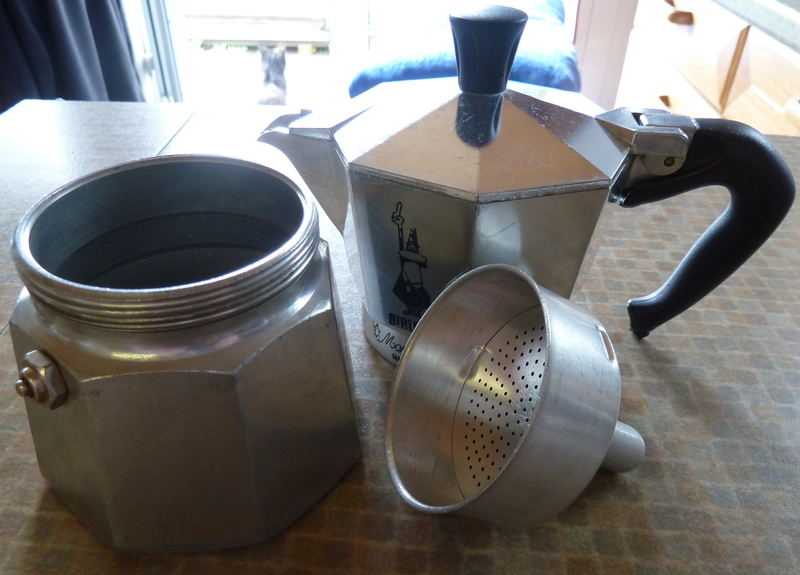 I have a metal one now which has a very smooth action, and I use it occasionally to make some slightly less strong coffee than the moka pot. I do actually have a burr grinder. It's an attachment to my old Kenwood Chef food mixer and it does a pretty good job, even though it seems to be almost an antique. I got out of the habit of grinding my own beans, though I used to use the grinder a lot years ago. You have prompted me to go searching for what's available here in Edinburgh and to get back into using it - thanks! 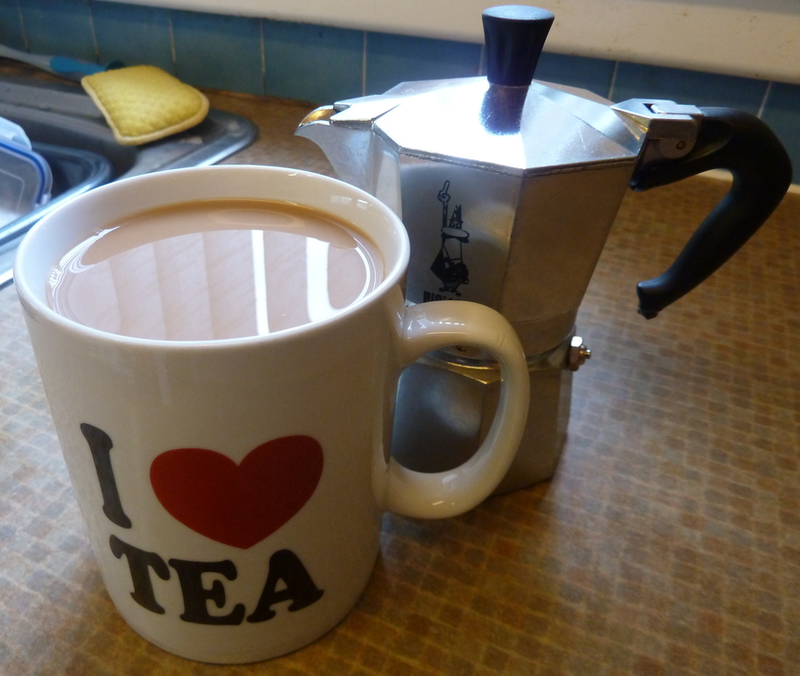 expatpaul: Good to hear that you're enjoying the delights of coffee made this way. There's a company located in Germany producing a variation, or better said a combination, based on the same principle. But using an electric kettle bottom piece. Thus you won't have to use your stove. Using it since 5+ years on a daily basis. That's certainly an impressive looking device. Thanks for pointing it out. 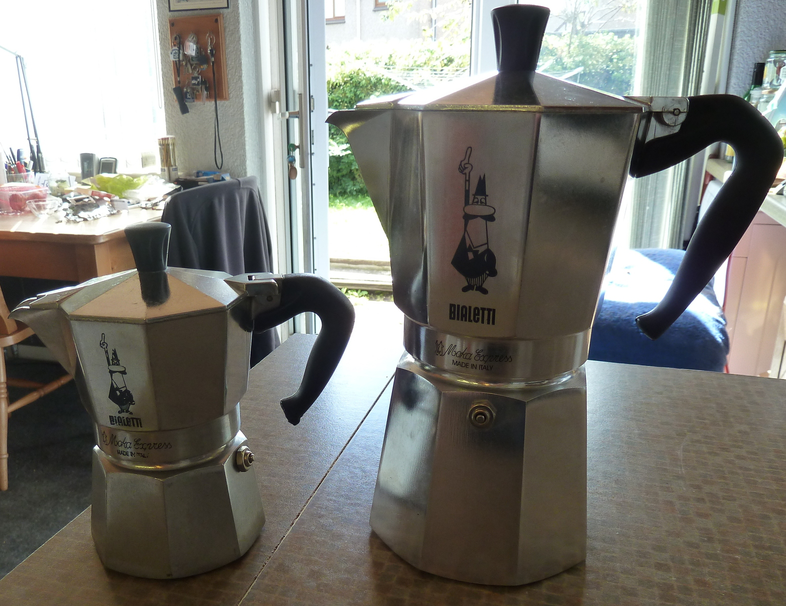 However, the Luddite in me tends to prefer the simplicity of the Bialetti (currently around 20GBP on Amazon UK) to this machine (around 73GBP), though I agree that the necessity of a stove makes the German device a good choice for many.